Welcome to the TEAM Fast Lane Website! 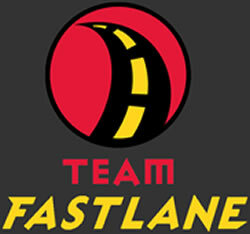 TEAM Fast Lane is a USA Triathlon sanctioned club open to individuals of ALL ages and ability levels. Member benefits include access to year round weekly coached training sessions, support services, equipment discounts, racing, fellowship and FUN! Although our primary purpose is as a training program for those interested in participating in the sport of triathlon, many members also train and compete in other sports like XTERRA, duathlon, road and mountain bike racing, alpine, telemark and cross country skiing, ultra and traditional distance running, climbing, kayaking, adventure racing, etc. Unique to our organization are the four, year round, weekly coached workouts that we provide to our membership. Unlike most clubs, TFL employs a professional coaching staff that will help you take your training and racing to new heights. The organization was originally founded on the premise of providing high quality workouts for its membership in a group setting. We have expanded these coaching services to provide personal, one-on-one training in any one or all three triathlon disciplines. If you need help preparing for a specific endurance event, please ask us. TFL coaches are equipped to prepare you to compete in a variety of endurance sports including running (all distances), XTERRA, adventure racing, road and mountain bike racing, skate skiing, etc. TFL does not offer “cookie cutter” training plans. Each plan is tailored to your specific goals and objectives based upon your current fitness level. As you gain fitness, while working toward your goal event/s, your training plan is adjusted accordingly. Daily contact is provided to all personally trained athletes via telephone, email or one-on-one training sessions. For those not living in the Salt Lake City area, TFL also provides online coaching under the same parameters mentioned above. Click HEREfor detailed information on PERSONAL training. 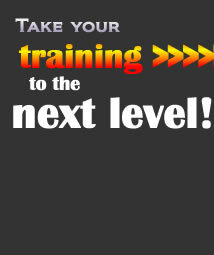 Click HERE for detailed information on ONLINE training. Many photo's on the banner courtesy of Erik Isakson www.erikisakson.com.